Brand new energy efficient home ready @ April 2017! Retire like you mean it! 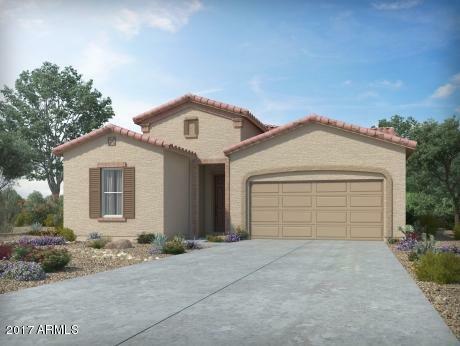 This Lennon boasts a spacious kitchen with center island, upgraded granite, tahoe maple cabinets, SS energy star appliances, and walk in pantry. 2 tone paint and upgraded flooring. Secluded Master suite has beautiful bay window, huge walk in closet and luxurious Master bath with dual sinks. Wonderful floor plan with 1 guest bedroom and a den split from the Master. Extended 4' garage for additional storage. Take advantage of the heated pool and spa, sport courts, game room, fitness center and hobby rooms at Mission Royale. Known for their energy efficient features, our homes help you live a healthier and quieter lifestyle while saving you thousands of dollars on your utility bills.